The other day I found myself asking the question ‘What sort of club are we? How do we compare to other Premier League clubs, past and present? And what could we learn from that about what might happen to us if (or when) we get relegated for the first time?’. 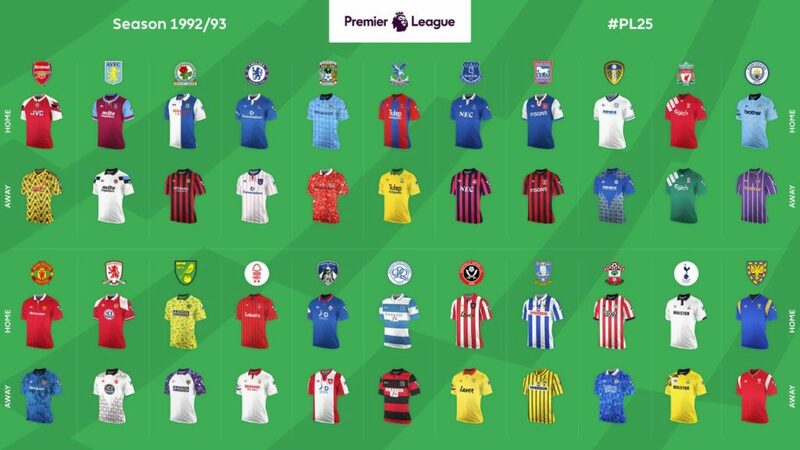 So I set out to look at the 49 clubs that have participated in the Premier League since it was established in 1992 to see if I could determine any patterns in their histories. The breakdown I have come up with is not particularly scientific – about the same level as the kind of Greatest Swansea City XI of All Time that we come up with in the pub – but I thought I’d share it to see what other Swans fans thought. I based this on the number of seasons a club has spent in the top flight, the number of times they have been relegated/promoted and what has happened to them since relegation. Here’s what I observed. First, there are the Permanent Fixtures – the six clubs who have been in the EPL from the start (Arsenal, Chelsea, Everton, Liverpool, Man Utd and Spurs) plus Man City. It is of course possible to drop out of the Permanent Fixtures – Leeds, Coventry and Blackburn Rovers all did it, and Man City did and (uniquely) bounced back. Everton have flirted with dropping out. No surprises there. They have a lot in common with the Semi-Permanent Fixtures – clubs which will drop out from time to time but usually get back after a few seasons. I’d argue these include Southampton, Leicester, Newcastle, West Ham and Villa. I looked at a number of potential common factors among these clubs, like average manager tenure in post, or type of ownership. Apart from the obvious conclusion that having incredibly rich owners can be a blessing as long as they don’t saddle you with debt and/or walk out on you, I really couldn’t find a general principle other than ground capacity and average gates: out of the 13 English and Welsh clubs with the largest average gates so far this season, only Leeds is missing from the list of Ps and S-Ps. OK, so large attendances may be an effect of success rather than a cause. It’s undeniable that they also have great financial muscle from sources other than gate receipts: 10 out of the 12 listed above are among the 20th richest clubs in European football (only Newcastle and Villa are missing). Again, though, that tends to be a by-product of Premier League status; money follows money. Then there are the Yo-Yos – clubs which swap between the EPL and the Championship at regular intervals – Sunderland, Middlesbrough, Norwich, Birmingham, Bolton, Hull, Palace, QPR, Watford, West Brom, Wolves and arguably now Burnley (with three spells in the Premier League under their belt). Forest, Reading, Ipswich, Derby and Sheffield United all look like Yo-Yo clubs which have dropped down a gear. You could argue that the Semi-Permanents are just the most successful end of the Yo-Yo spectrum. That could be true, although the Semi-Perms have an average of 20 seasons in the EPL between them (out of a possible maximum of 26) compared to an average of 8 seasons each for the Yo-Yos. I did wonder what role parachute payments might play in the Yo-Yos: after all a recent report highlighted the distorting effect they are having in the Championship. However, most of them were either last promoted before parachute payments existed, or they went up more than three seasons after they last went down. Only Norwich, QPR, Burnley and Hull have bounced back quickly in the age of parachute payments, so they could be said to have benefited from parachute payments; but on the whole, parachute payments don’t seem to be the main key to Yo-Yo status. But I did find a link with ground capacity and attendance. Yo-Yo clubs have an average attendance of around 21,000 so far this season and an average ground capacity of around 28,000. Decent ground capacity and a loyal fan base may not be sufficient conditions for Yo-Yo status but they are clearly necessary ones. In fact, out of the top 30 clubs in English and Welsh football, in terms of ground capacity, all bar six are either Permanents, Semi Permanents, or Yo-Yos. The exceptions are Sheffield Wednesday, Leeds, Coventry, Blackburn Rovers – which I’m going to discuss in the next category – plus Cardiff and MK Dons. The fourth group I have called the Fallen Greats – clubs which seemed to be well-established in the top tier but have lost their way. These are Leeds, Coventry, Blackburn Rovers, Sheffield Wednesday, Portsmouth, Wigan and Wimbledon. What do they have in common? The first five can be summed up in a single word: debt. These clubs were all but destroyed by the toxic effect of debt, and it’s remarkable how difficult they have found it to bounce back despite, in many cases, having decent size stadiums and loyal fans. The other two have more in common with my final category – the One Hit Wonders. These are clubs which managed to get to the Premier League for a brief time but could not sustain it and have never managed to get back again – Barnsley, Blackpool, Cardiff (although that may be about to change), Oldham and Swindon all fall into this bracket. I’d add three more clubs to this list. Bradford and Charlton have both had two spells in the top flight, I don’t think that’s enough to qualify them as proper Yo-Yo clubs, and Fulham had a creditable 13 seasons in the top flight, but still only the one run so far. Together their average capacity is 22,000, compared to 28,000 for the Yo-Yos and 44,000 for the Semi-Permanents, and their average turnout is just 12,000. Some clubs are hard to classify, including a number of those currently in the Premier League. Huddersfield, Bournemouth, Brighton, Stoke and Swansea are all in their first run in the Premier League and have therefore never been tested by relegation. Brighton, with a ground capacity of 31,000 which they sell out pretty much every week, look like strong candidates for Yo-Yo status in future. They experienced a step change in their gates five years ago and that doesn’t look like going away. Huddersfield also sell out their 24,000 capacity ground, but their historic attendance over the past decade has been closer to 12-14,000. I’d expect them to be a One Hit Wonder when they go down. Bournemouth should be a One Hit Wonder but if they can get their new stadium built and hang on to owner Maxim Demin they could be a potential Yo-Yo club. That £53m debt they are carrying makes them look more like another Portsmouth in the making though. Stoke similarly have £59m in debt hanging over them, although with a 30,000 stadium selling out every game they look like they could be the next Yo-Yo club. On the face of it, then, there seems to be a direct correlation between ground capacity and attendance, and which category you slot into: 40,000+ should get you Semi-Permanent status, 30,000 is needed to be a Yo-Yo and 20,000 is likely to render you a One Hit Wonder. So where does that leave the Swans? With a ground capacity of 21,000, we are 46th in the league table of grounds and this season we are 27th in the table of average attendances. The fact that we are debt free probably means we won’t plummet through the divisions like the Fallen Greats, but right now we don’t look like a Yo-Yo candidate either. I hate to say it, but we could find ourselves holding the record of being the One Hit Wonder with one of the longest records of Premier League seasons under our belt – unless we get on with expanding the stadium soon. What are your thoughts on where the Swans fit into these Premier League types? 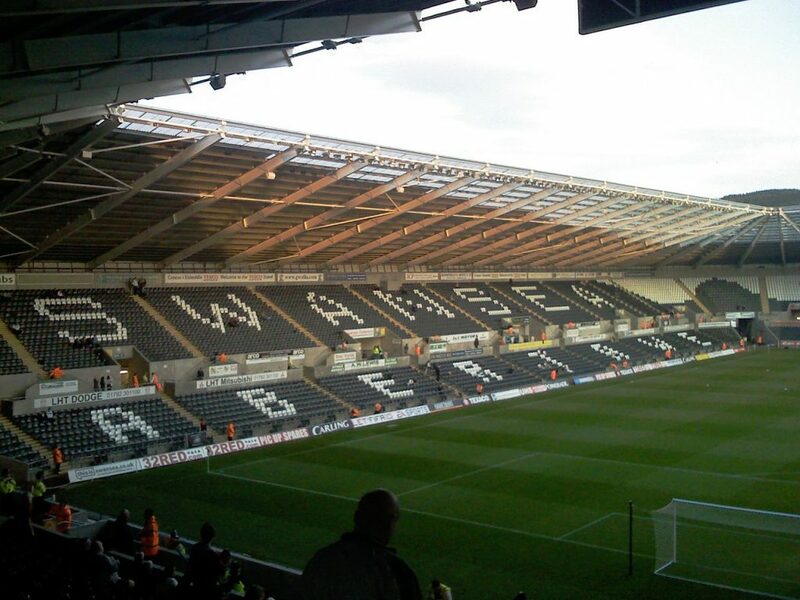 Why not have your say and share your point of view on our Swansea City forum.